For the last two months I’ve worked steadily on a proposal to the Global Challenges Foundation request for a new governance model to tackle issues like global climate change. It’s been intense. Inherent in the approach my colleague, Dr. Thomas Juli, and I have taken in consultation with Michael Mainelli of Y/Zen, Richard Barrett of Barrett Values and Karl Mattingly of Dysrypt Labs, is the idea of cooperation. The quote: “Citizens worldwide want action on climate change” is from an article written by Mats Andersson, vice chairman of the Global Challenges Foundation to the editor of the Financial Times. There was a time when governments took the lead and solved problems on behalf of citizens. Some would argue they also caused problems. Either way, the point is that governments are woefully ill-equipped to handle the tough issues of today. As I write this tensions between the US and North Korea are rising, threatening to drag everyone into a war no one will win. Instead, civilization will die. That may sound melodramatic to some, but it is well within the realms of possibility. What is the answer to political tensions and the larger ecological setting – global climate change? As fast as government back pedals, business is compelled to step forward. As fast as governments struggle with the complexity, citizens organized around shared goals and interests take action. And take action they are. From Singularity University’s Global Summit to various networks engaged in making a difference, companies and citizens are building movement and momentum. The unifying glue is care – caring about what kind of world we live in, how prosperity is generated and distributed and contribution rewarded. Global climate change is a complex issue with ramifications on food, energy, and political security. Without the engagement of business and inspired citizens our chances of making an impact are less than they’d be if each person reading this stepped up to expanding energetic capacity, emotional stability and intelligence and desire to contribute to something significant. What can you do as a global citizen? While it is easy to feel fear or despair about the fate of the world, much less the effects of global climate change doing something starts right at home. Gardening – In this podcast Michael Moll describes how to connect in community over plants and growing. Granted it seems simple, but simple starts can cumulate to bigger effects. 2. Explore Barcelona’s approach on a local or city-wide basis. Cross pollinate ideas to your city. 3. Support citizen-led initiatives. Keep an eye on crowdsourced sites funding community resilience initiatives or global-minded initiatives such as Dutch entrepreneur Boyan Slat who creates technologies to solve societal issues. His mission is to clean up our oceans. 5. Train Your Brain to see, think and be aware of what you are focused on. Is it to reduce or to expand? Be safe or grow? Armchair commentary is no replacement for citizen led action. Can we take the sentence “Citizens want action on climate change” and convert it to “Citizens take action on climate change? 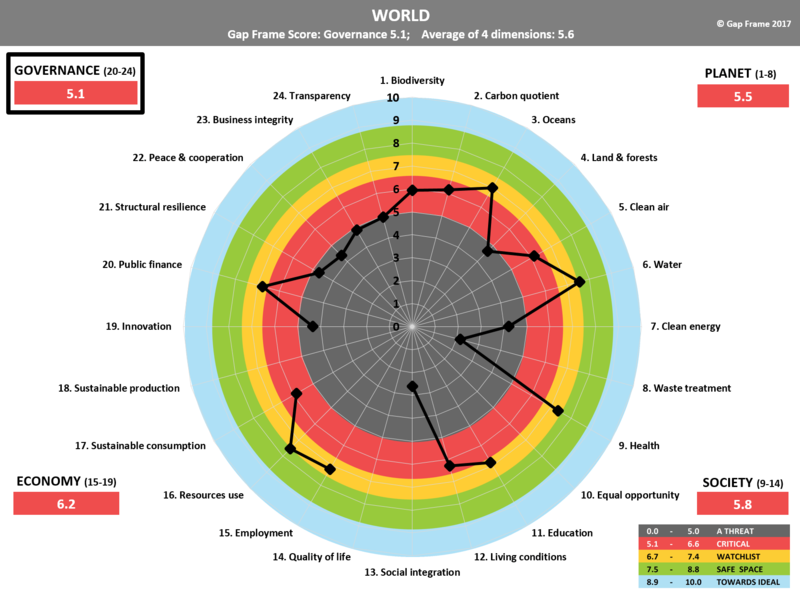 Business School Lausanne developed GapFrame to monitor our collective progress on closing the gap between our capacity to live respectfully and the planet’s life support system health. Can we use this to collectively move the needle on sharing responsibility for how we respond to daily events and take action. Dawna works with individuals, teams and companies seeking to strengthen their resilience skills to match the exponential speed of change. Contact her to discuss decision-making, self-awareness skills, leadership and transformational mindset focus for designing the future you want.